Arc 1950 is the newest resort in the Alps, built as the fifth installment to the massive ski domain of Les Arcs. This village is located below Aiguille Rouge, facing Mont Blanc, on a plateau below its sister village Arc 2000. It is designed in the style of an authentic alpine village full of character and old-world charm, in complete harmony with its surrounding ski terrain. It has a full range of shops, restaurants, bars, ski schools, equipment shops, spa, swimming pools and underground parking. The surrounding ancient pine trees and a nearby mountain stream, which falls over a 60 metre high waterfall, have been integrated into the development of this fantastic resort. Arc 1950 is the most recent and exciting development in the Alps. The Canadian owned company behind the project is the leading North American ski village developer and operator, already responsible for Whistler, Mont Tremblant and Copper Mountain. The majority of accommodation is ski in -ski out. The ski area has plenty to offer all levels of skier. With access to over 400kms of piste via the new La Plagne telecabine link you are truly spoilt for choice. The Marmottes lift connects Arc 1950 with the whole Arc domain, including a new connection to Arc 2000. Arc 1950 also benefits from easy rail access from the UK via Arc 1600's connection to Bourge-St-Maurice, and the fantastic view of the Mont Blanc massif. Arc 1950 is a great place to learn how to ski. Beginners will feel at home straight away with the "Evolutif" teaching technique that is widely used here. The skier starts off with short skis, and will gradually progress on longer skis as he or she improves their skills. There are a number of nursery slopes available, and the many wide spacious runs are excellent for practice. There are also plenty of easy blue runs, and all the pistes are well groomed. The advanced skiers will not be short of challenges. The famous flying kilometre speed course can be found here, as well as a great connection to Arc 2000 where there is a wide area of blacks to choose from. There are plenty of snow making facilities covering the Les Arcs and the Paradiski ski area which makes for guaranteed snowfall throughout the entire season. As a ski in and ski out village Les Arcs 1950 attracts lots of apres skiers with it's many lively bars and restaurants. Skiers can enjoy apres-ski entertainment from early afternoon to late into the night and for those very late partiers 1950 also has its own nightclub. All the restaurants have a warm friendly vibe welcoming guests with superb hospitality from cafe shops to fine dining. 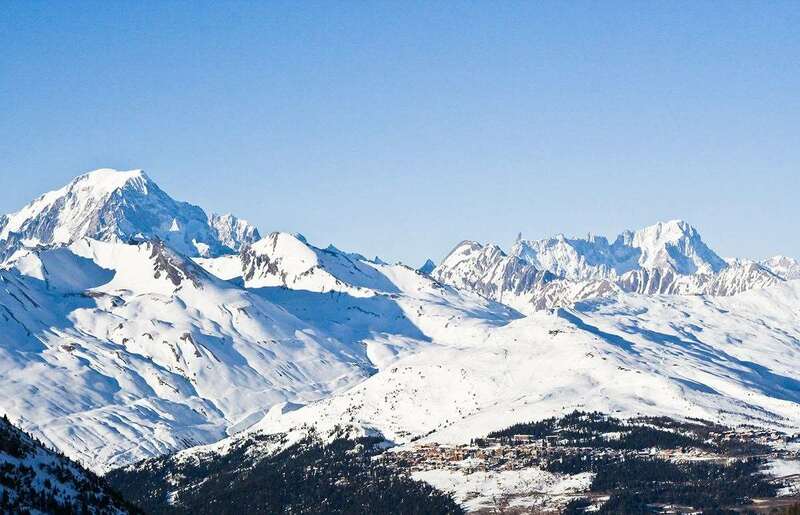 The nearest airport to Les Arcs resort is Chambery (CMF) which is just a few hours drive away. Other airports including Grenoble (GNB), Geneva (GVA) and Lyon (LYS) are also close by. 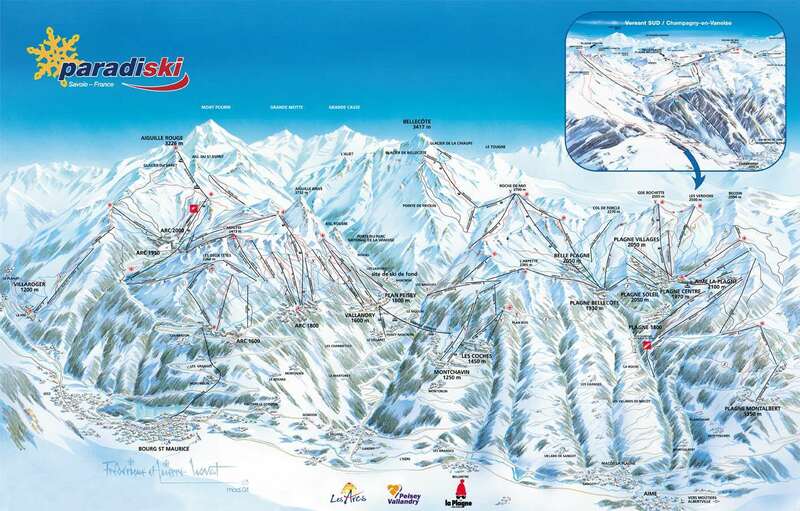 For more information about skiing in Les Arcs and the Paradiski area, please visit the Les Arcs resort guide. Fantastic resort, ski-in-ski-out, and the best self-catering accommodations in France!! The resort is expensive for eating and drinking out, but no more than the other resorts in the alps. There is an excellent shop for supplies and more than enough skiing. My advice is don&#39;t bother with the Paradiski pass as it takes to long to get over to decent slopes and there is plenty of skiing to be enjoyed on the local pass! Bon Journee!